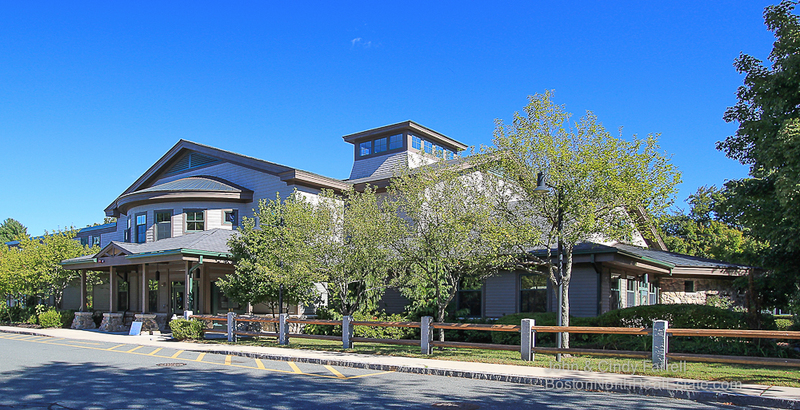 Opened in 2001, the library is located in a downtown residential neighborhood, at the site of what was once the Hamilton Wenham Regional High School. The old building was dismantled and this well-designed community space was erected in it’s place. The former high school gym segment of the building was retained and incorporated into the design of the new library building and currently houses the Hamilton Wenham Recreation Department. The grounds include sports fields and a playground. The library is a valuable community center and offers a diverse array of resources. It was thoughtfully designed to include community meeting rooms and study spaces. Whether visiting its user-friendly website or stopping by the library in person, its vast offerings will be apparent.